Purchase this product now and earn 20 FJ Rewards! What is this? 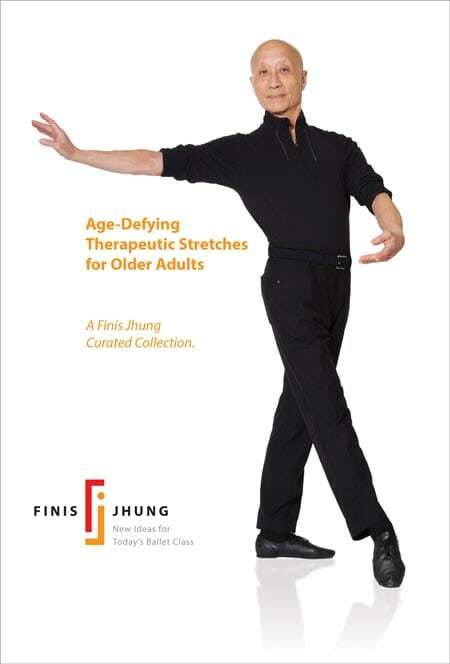 Finis Jhung has taken his favorite exercises from Ballet Plus and The Ten-Minute Stretch Break to create this special streaming compilation especially for older people who would like to regain flexibility and mobility while stretching away aches and pains. The fourteen carefully paced exercises are done either standing, sitting on a chair, or on the floor. Quietly and methodically, master teacher Finis shows you simple and easy movements with a balletic aesthetic choreographed to the inspiring music of Scott Killian and demonstrated by Melissa Elstein. Throughout, Finis coaches Melissa (and you) to help make sure you move correctly so that you receive the full benefit of each exercise. WATCH INSTANTLY! This is a streaming video, so after your payment is processed, simply visit your account page from any device with an internet connection. Already have Ballet Plus and The Ten-Minute Stretch Break? Use the listing in the “Exercises” tab to create this compilation for yourself! This is a streaming compilation, which Finis has curated from two of his DVDs, Ballet Plus and The Ten-Minute Stretch Break. If you prefer a hard-copy DVD be mailed to you, please purchase those two videos, sold separately, and you can easily do these exercises in your home.